South Georgia/ North Florida first wants to begin by saying how proud we are of each of our offices for embracing #givingtuesday! We hope to make this part of our annual tradition at SGNF Eye Partners during the holiday season moving forward. Each office has been so proactive in this project and has given back in such BIG ways! The Tifton office donated to the Tifton Rehabilitation Center items such as blankets, grip socks, games, and books. Staff will be offering up their cosmetology skills, while others will clean glasses and adjust frames, all spending quality time with the residents/patients. Our Moultrie office donated food to the oncology department at Tift Regional for those patients and their families. Thanks ladies for your golden hearts! Madison is collecting canned food items for donation to Dr. Hill’s church in Tallahassee, FL. Thank you Madison for your support and giving hearts. 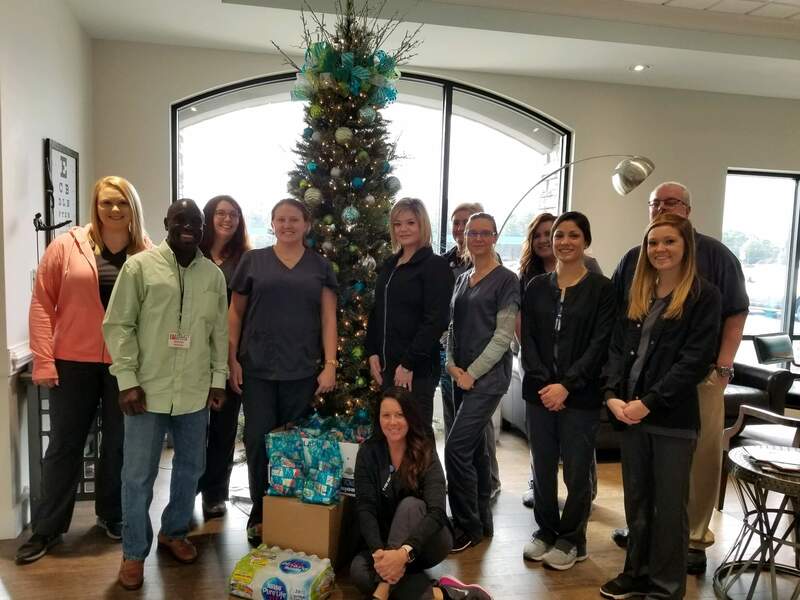 Valdosta collected hygiene products and put together individual gift bags filled with toothpaste, toothbrushes, germx, deodorant, and bottled water to donate to Project Rescue Outreach Ministries who will use these gift bags as they help out the homeless here in Valdosta. Valdosta is also hosting a special clinic Friday afternoon for the women and children of The Haven battered women’s shelter. Proud of you Valdosta for the effort and time you’re donating in giving back to your community in such a meaningful way! Last, but certainly not least, Douglas has also been busy with their #givingtuesday initiative. They spent time with the residents of Vista Park assisted living home, placed American Flags in downtown Douglas as part of the Lion’s Club initiative honoring and saluting our veterans, and lastly – donating time ringing the salvation army bell. Our Eye Partners offices continue to be such a shining light in our communities! 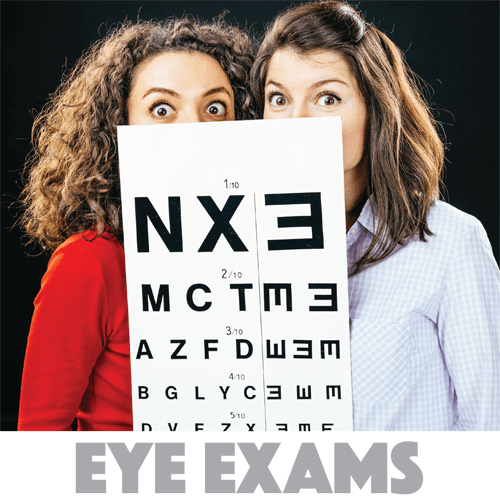 Despite your age or health, annual comprehensive eye exams can help to detect any eye problems at their earliest stages – when they’re most treatable. South Georgia/North Florida Eye Partners is a big believer in early detection and early treatment – it can help not only with vision problems, but other health problems as well. What happens during an eye exam? During a standard comprehensive eye exam, your eye doctor can determine (if needed) your prescription for eyeglasses or contact lenses, but will also check your eyes for common eye diseases, determine how your eyes work together as a team and evaluate your eyes as an indicator of your overall health. Should Children Get Annual Eye Exams? The short answer is “yes!” For children, eye exams can play an important role in normal development and learning. Vision is very closely linked to the learning process. Children who have trouble seeing or interpreting what they see often have trouble with their schoolwork. Many times, children will not complain of vision problems simply because they don’t know what “normal” vision looks like. If your child performs poorly at school or exhibits a reading or learning problem, be sure to schedule an eye examination to rule out an underlying visual cause. What is the Eye Doctor Looking For During an Exam? In addition to evaluating whether you have nearsightedness, farsightedness or astigmatism, your eye doctor will check your eyes for eye diseases and other problems that could lead to vision loss. At any age, it’s an important part of your healthcare to have an annual eye exam. With offices in Valdosta, Tifton, Douglas, Moultrie and Madison, FL, Eye Partners is bound to have a location convenient for you. Call our offices today to make YOUR annual appointment!